The new line to Sydhavnen will have five new stations from Fisketorvet to Ny Ellebjerg and is expected to be fully operational in 2023. In addition to the five stations, the new metro line will pass via the city centre, stop at several stations on Cityringen and terminate in Nordhavn, where a branch line from Cityringen is currently being built. 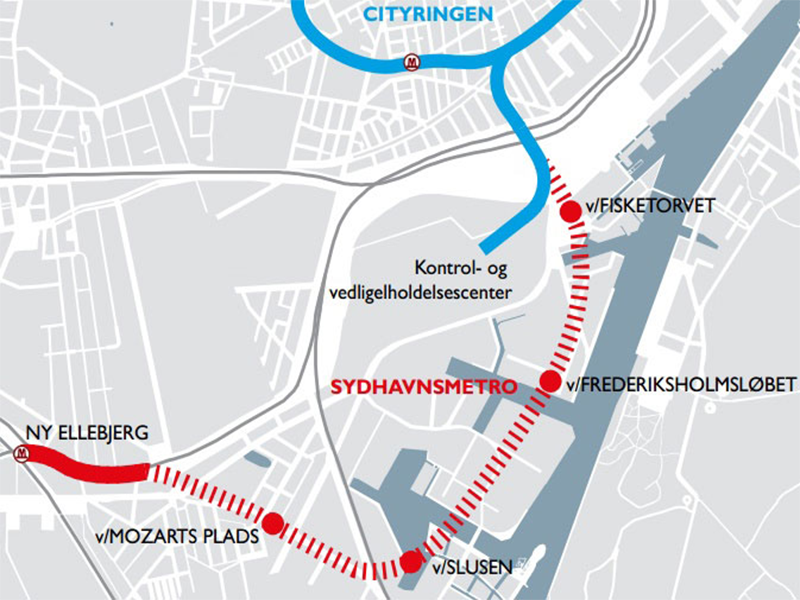 The new metro line to Sydhavnen will be 4.5 km long with four underground stations: Fisketorvet, Enghave Brygge, Sluseholmen and Mozarts Plads, as well as a stop at Ny Ellebjerg Station, with convenient transfer to regional and S-trains. HMeng will produce the MEP design from preliminary to detail design stage.